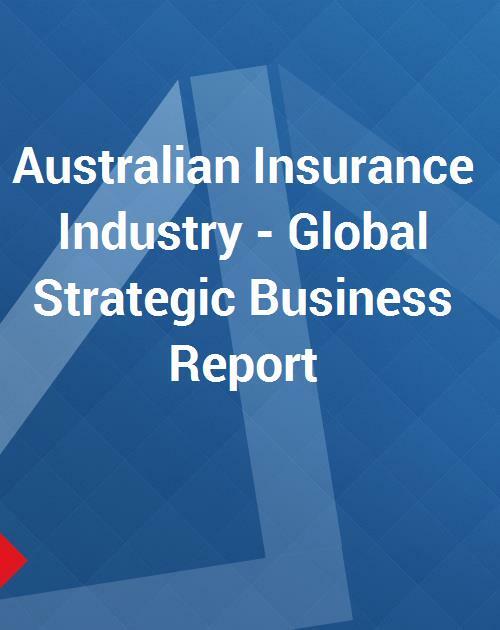 The Australian Insurance Industry Report provides insightful analysis, market overview, industry structure and outlook of life and non-life insurance industries in the country. The report also examines the reinsurance market and other sectors of non-life insurance industry like property and health among others. The report provides a compilation and discussion on recent spate of mergers & acquisitions and other industry activities, which have irreversibly changed the landscape of the industry. Get a bird’s eye view of the latest launches of insurance products by major industry players in the country. The report also peeps into recent past/ historical perspective of the country’s insurance market and numbers maze within the industry. A regional level discussion also looks into the leading companies’ footing in these markets along with their annual written premiums and/ or market shares. The report discusses several key and niche players such as Allianz Australia Limited, AMP, CGU Insurance Ltd., Gerling Australia Insurance Company Pty Ltd., ING Australia Limited, Insurance Australia Group Ltd., QBE Insurance Group, Suncorp Metway Insurance Ltd, and Zurich Australia Insurance Limited.